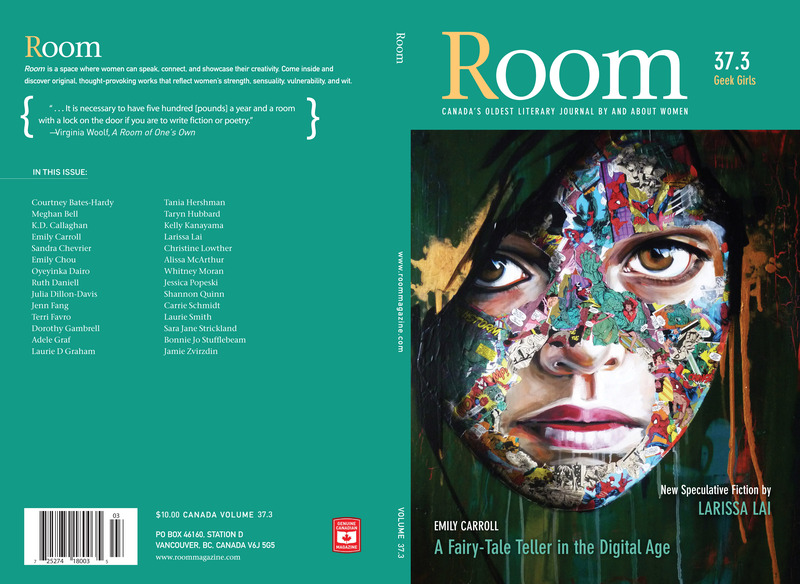 I’m so excited that I’m allowed to give you guys a sneak peek at the upcoming issue of Room Magazine 37.3 Geek Girls, in which two of my poems appear. Check out the amazing cover–not to mention my name, all shiny, in the list of the contributors on the back cover! You can click on the image to see it full-size. Look for Geek Girls on newsstands by the second week of September. Or you can subscribe for a year’s worth of the magazine, which is even better. I hope you’ll consider getting yourself an issue (or more!). Supporting magazines is supporting writers like me! 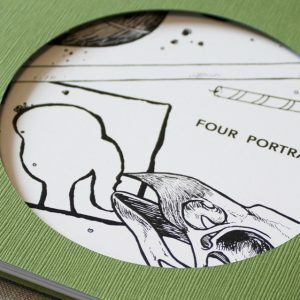 Without literary magazines in Canada and the people who run them (underpaid or as volunteers! ), there would be a sincere deficit of venues in which emerging artists like me can find their audiences.